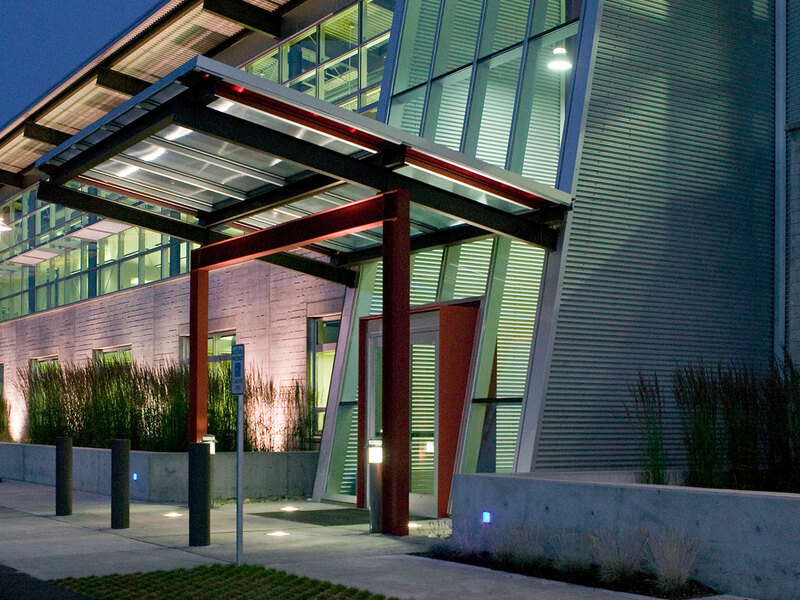 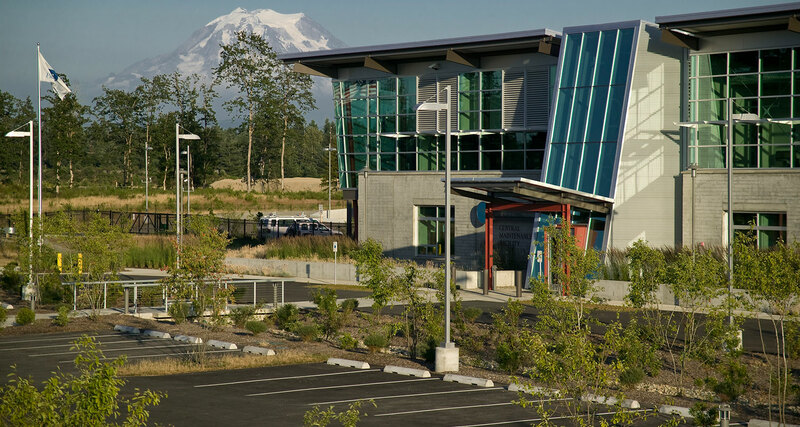 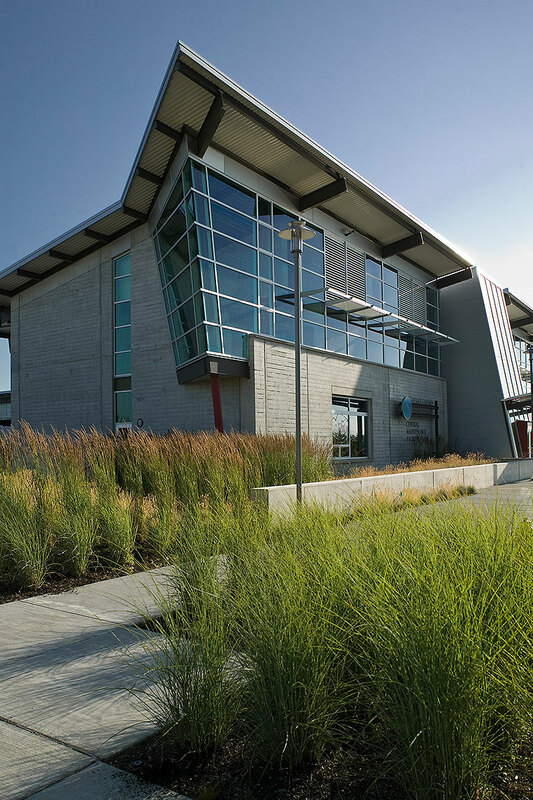 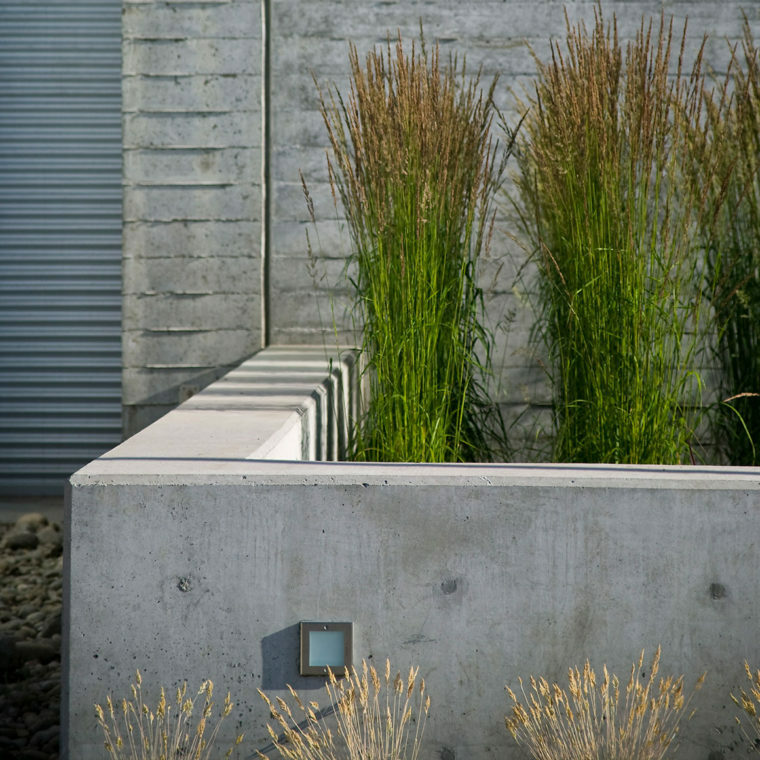 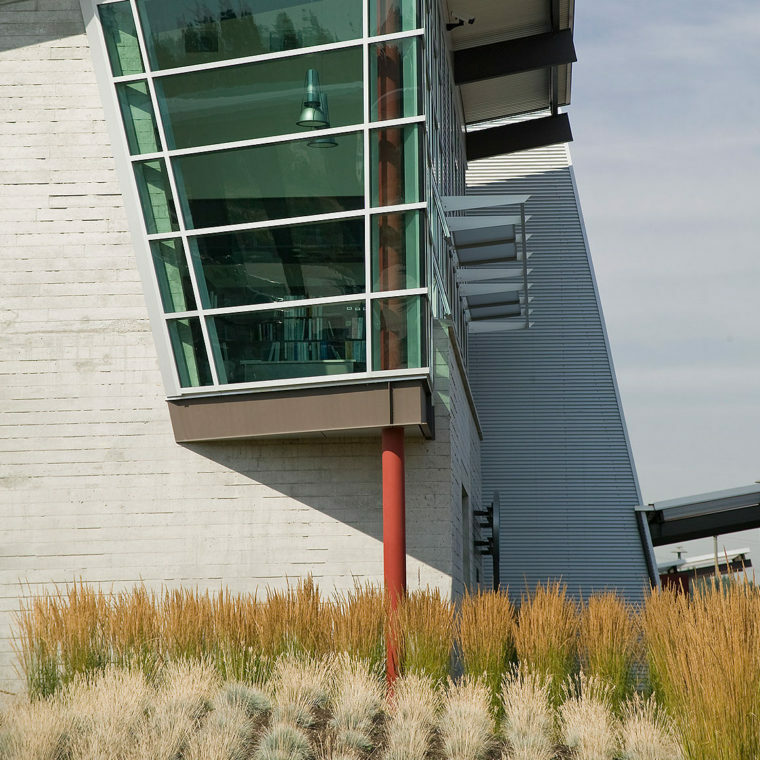 Design for this operations and maintenance facility located on 10 acres of paved tarmac was developed through an integrated design process and incorporates an intense industrial use with the restoration of a native Garry Oak Prairie and Douglas Fir Forest. 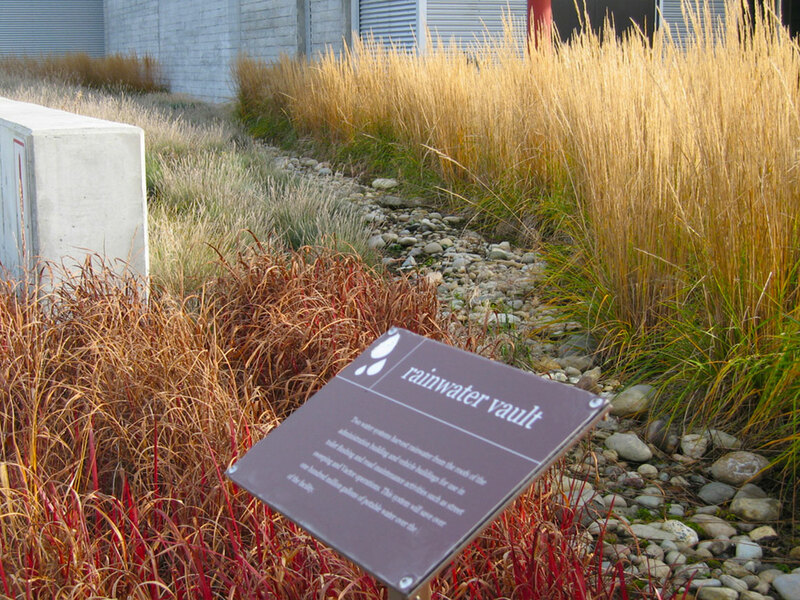 The public parking area includes rain gardens for practical application and educational value. 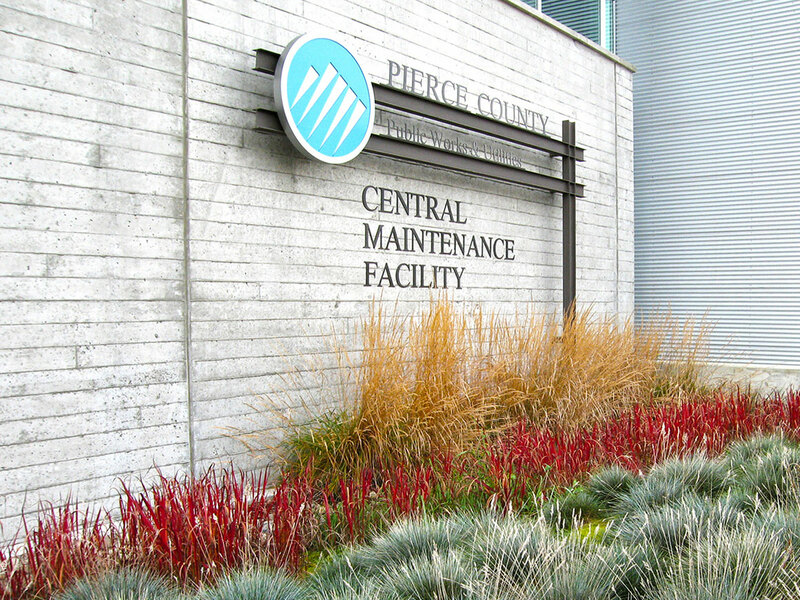 Runoff generated by the tarmac is cleansed in the rain gardens and routed to a detention pond for irrigation and Public Works water trucks.